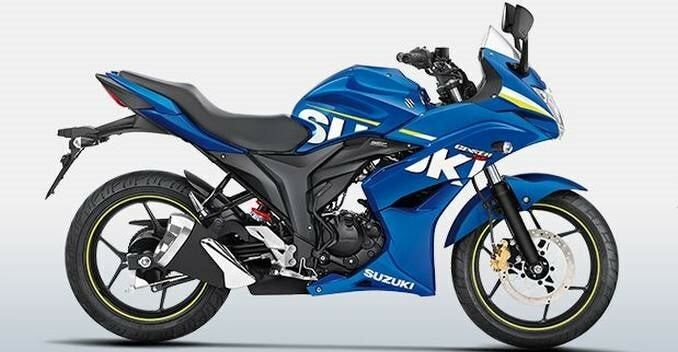 Suzuki Motorcycle India, today, launched the much-anticipated Gixxer SF in India at a ₹ 83,439 (ex-showroom, Delhi). Just so you know, the SF is the fully-faired version of the company's highly popular naked bike - the Gixxer. At this price, the Gixxer SF has become the country's most affordable fully-faired motorcycle. Powering the Suzuki Gixxer SF is a 154.9cc, single-cylinder engine that churns out a maximum power output of 14.6bhp at 8,000rpm while yielding 14Nm of peak torque at 6,000rpm. The same engine also powers the naked Gixxer. Other than the front-fairing and the extra kerb weight of about 4Kg, the Suzuki Gixxer SF looks exactly similar to its naked sibling. The key features on offer are - LED tail lamps, clear-lens indicators, digital instrument cluster, aerodynamic fairing. The bike has been made available in three colours - Black, Blue and White.